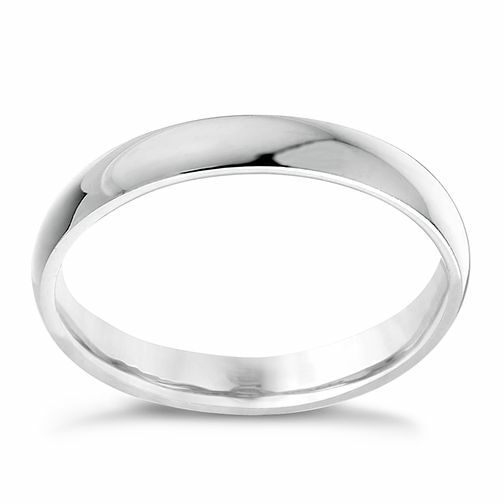 An elegant 9ct white gold extra heavy weight court 3mm ring. Make your wedding a day to remember with this stylish wedding ring designed to mark the start of your new chapter. 9ct white gold 3mm extra heavyweight court ring is rated 4.3 out of 5 by 3. Rated 5 out of 5 by Anonymous from Good weight, great product 5 stars Bought this wedding ring for my wife on Our 3rd wedding anniversary as my wife lost the original yellow gold wedding ring so decided to go for a modern style White gold wedding ring & my wife bought me one to match.